Advice from an experienced Appreneur, Mentor and Coach. WatchKit Hackaton WatchKit is here. What does it mean? 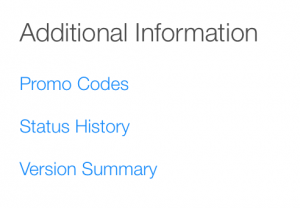 Right after WWDC I wrote a short note about a new feature in iTunes Connect that allows you to request promo codes for app updates and how you could use those promo codes for testing the final app binary before it’s released on the App Store. With the release of the new iTunes Connect UI almost everything looks different, but the same features are there. So here’s a follow up with screen images and step by step instructions. You should always, always release your apps manually instead of having them be released automatically as soon as they are approved. Odds are that your app will be automatically released on a Friday or Saturday evening and then your weekend may be spent answering support emails. So for your own sanity, release apps when it’s convenient for you. Manual release is also a requirement for this promo code testing trick to work. Nothing new or different here. If you forgot to select manual release you can still change this while the app is waiting for review. 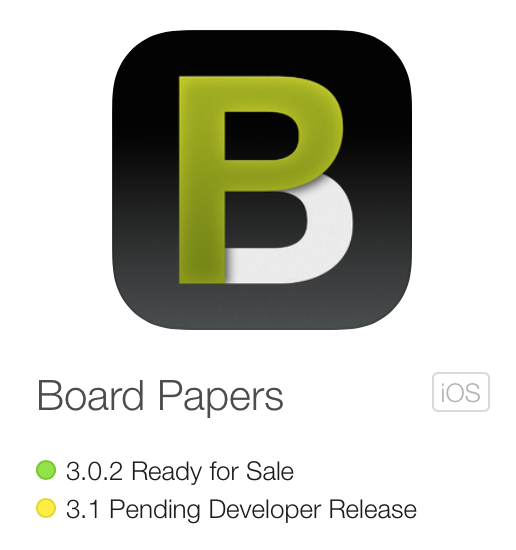 When the app has been approved it will be in the state Pending Developer Release. 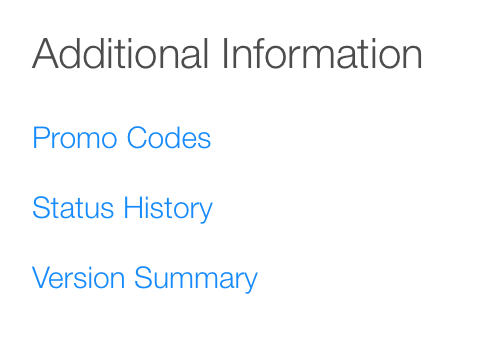 At this point the Promo Codes link appears at the bottom of the app details page. This is the same old process you have probably used in the past to request promo codes for press contacts. Make sure you read the rules so that you do not violate the contract governing how promo codes are to be used. I’m not a lawyer, so I cannot provide advice here. Downloading an app using a promo code is usually a straightforward process. But in my experience when the promo code is for an update, iOS sometimes gets confused. It’s not consistent. But sometimes the App Store app shows an Update button right after the download is complete. It’s not clear to me if tapping the Update button will download the update you really want, or if it will “update” to the latest public release available on the App Store. Sometimes the whole process fails and my update is nowhere to be seen. So don’t be dismayed if need to burn more than one promo code to get the binary you want downloaded onto your device. If your app saves any data you should test the upgrade scenario where you have a prior version of the app installed on the testing device. Upgrading from the App Store in this way is what your customers will experience and this is very different from when you are running and upgrading the app from Xcode. If all testing goes well you can release the app at your convenience and in coordination with your release campaign. Tap on the Release This Version button at the top right of the app details page. If during your testing you find any showstopper bugs you can reject this binary instead of releasing it. Click on the Cancel This Release button in the Builds section of the app details page. Remember that Apple keeps a detailed history on all status changes of your apps. So don’t reject the binary after it has been approved by app review unless it’s really necessary. When you cancel the release you’re telling the app review team that they just spent time reviewing your app for no good reason since that version they reviewed will never see the light of day. So don’t use this method as your early stage QA. Use it as your final, final confirmation that nothing went horribly wrong in the very last build step. Give yourself the peace of mind knowing that your customers will not face a botched binary when they go to update your app. i3Theme 1.6 is designed by N.Design Studio, customized by MangoOrange™, modified by Nick Dalton - iPhone Developer.